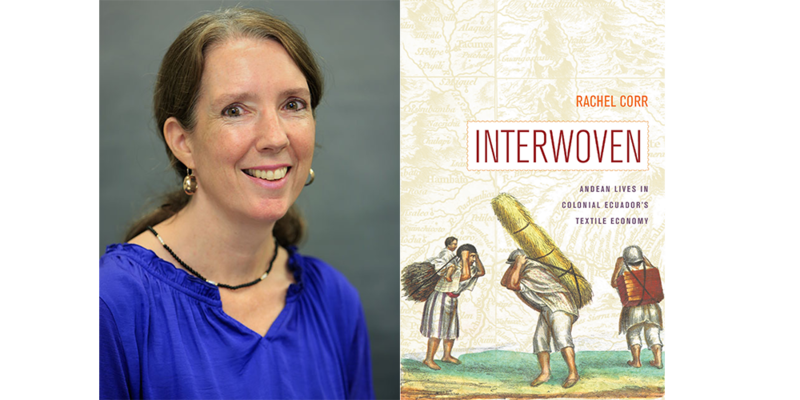 At this year’s Rocky Mountain Council for Latin American Studies, Rachel Corr was honored with the council’s prestigious Judy Ewell Award for Interwoven: Andean Lives in Colonial Ecuador’s Textile Economy. The Judy Ewell Award honors the best publication, book or article, on women’s history or written by a woman, that began as a RMCLAS presentation. Interwoven focuses on the lives of native Andean families in Pelileo, a town dominated by one of Quito’s largest and longest-lasting textile mills. Rachel Corr reveals the strategies used by indigenous people to maintain their families and reconstitute their communities in the face of colonial disruptions. 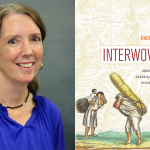 Rachel Corr is an associate professor of anthropology at the Wilkes Honors College of Florida Atlantic University. She has conducted ethnographic fieldwork in Ecuador since 1990. She is the author of Ritual and Remembrance in the Ecuadorian Andes.